Comfort zone – Skincare science with a soul. The minute it comes to proper skin care treatment the first thing which comes to mind is facial. The facial is one of the most common skin care treatment desired for improving the health and appearance of skin with the feeling of being pampered. Till now I was unaware of my face skin, so finding a good facial treatment is like finding a soulmate. Keeping your skin healthy and radiant is an endless battle. As most of us are uninformed of our skin type and what treatment should be taken for the same. 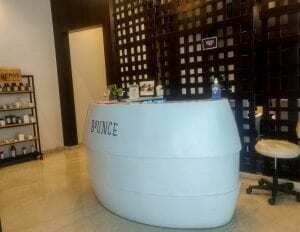 This is the reason why I am writing this review, recently I visited Bounce salon in VR mall to try out their comfort zone skin treatment. The salon itself is very clean and warm with a very friendly and professional staff. I was so overwhelmed after the treatment from comfort zone my skin felt so fresh and alive, I never anticipated such remarkable effect. The treatment starts with the consultation with the expert, targeting on the issues of your skin. After discussing my health issues and allergies the expert started the treatment. 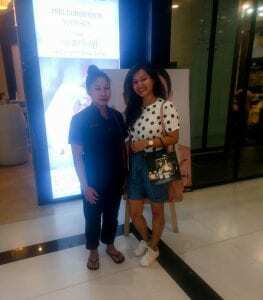 Elena was the lady who helped me to realize the main problems of my skin. She suggested me to go for Absolute pearl facial for my skin. 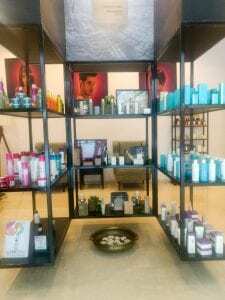 The moment I entered salon the ambiance and soothing smell de-stressed me instantly. 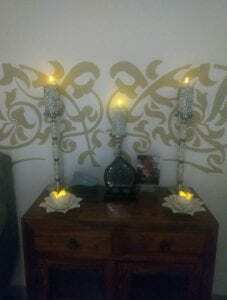 I absolutely adored the candles on the way when I was led into the treatment room. The treatment started with inhaling a very nice fragrance next it leads to massage around my neck and shoulders. Which made me feel so cozy, relaxed and sleepy. The facial comprised of many steps from cleansing to exfoliating, massaging and applying the face mask. At the end of the session when my pack was drying she gave me a hand massage. When it was over I felt so stress-free. The Absolute pearl Facial made my skin look so hydrated and radiance. I had never experienced such glow and suppleness on my skin. Really loved how this facial worked on my skin with such a charm. 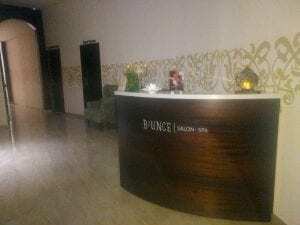 I would strongly suggest you go and try Comfort zone skin care treatment at Bounce salon. I know you going to love it as I did. Next Post Biotique – The goodness of Ayurveda & efficacious ingredients for your skin and hair.